BUZZ! BUZZ! BUZZ! We heard that Mr. Harte had a great idea for his technology class. BEEBOTS! We wanted to learn more about these interesting things. We interviewed Mr. Harte to learn about them! 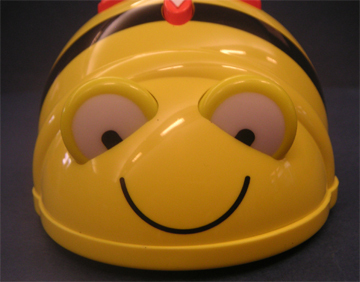 Beebots are little plastic robots that look like bees. On the bottom they have wheels, and on the top they have different arrows and buttons. You push the arrows down, and they will then move in the direction that the arrow was pointing to. Then, when you’re ready, you press “GO”, and the Beebots do what you programmed into them. You can only command the machine to do the maximum of about 40 commands at a time. Mr. Harte thought of this wonderful idea because he went to a conference last year, and saw a presentation about robotics. He thought the robot idea was great, but he didn’t like the type of robot they were using! Then, he found the Beebots, and thought they were a great idea. He decided to use them in his technology class at Chickering School! Mr. Harte is only going to use the Beebots with kindergarten and first grade because he thinks that when you start a program, you should start with the younger grades working up to the upper grades. He might start a program including robotics for the older kids later on in the year. 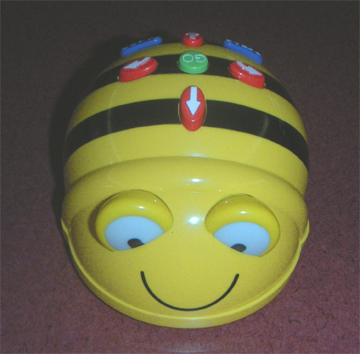 Mr. Harte hopes that the kindergarten and 1st graders learn a lot out of the experience of using Beebots. He thinks the beebots will help them learn how to program robots. The Beebots move around on mats that have different objects on them, like a mini town with stores and a street, and also mats that have money, shapes and letters. 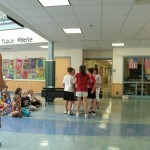 The kids learn from the Beebots by programming them to go to different places on the mats. They will also learn how to work together, and to think about where they want the Beebots to go. 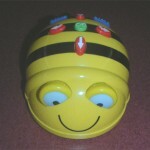 The kids will learn how to follow instructions much better when they’re working with Beebots. We hope that you learned a lot about these amazing robots! 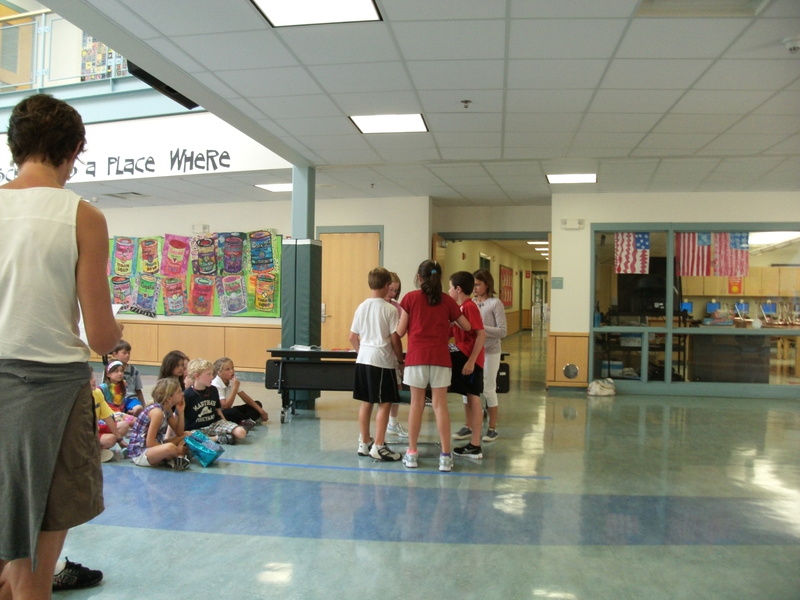 Make sure to watch our interesting video on our school’s first graders using them! 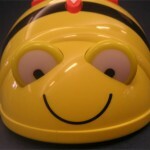 BeeBots from Cheryl Chase on Vimeo.